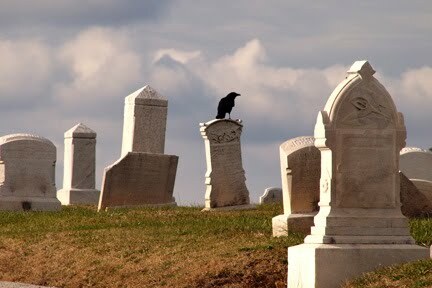 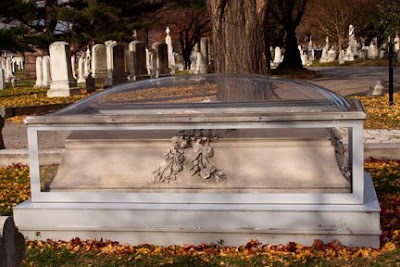 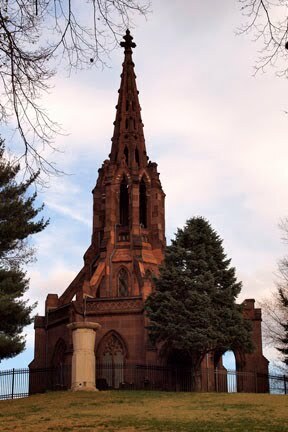 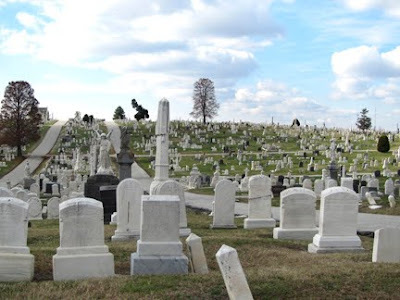 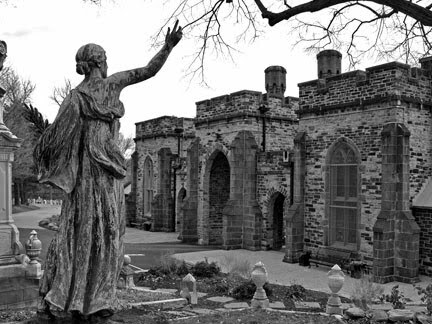 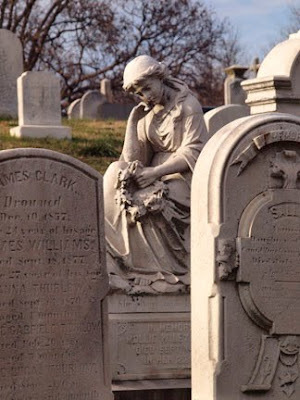 Established in 1839, it claims to be the earliest rural or garden cemetery created in the United States. 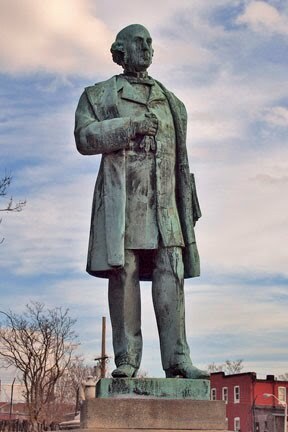 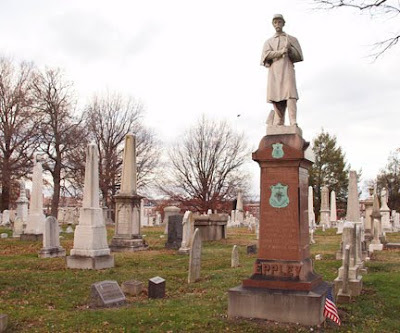 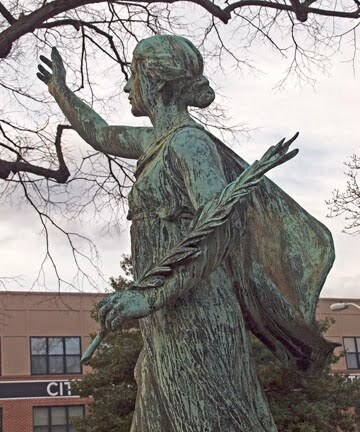 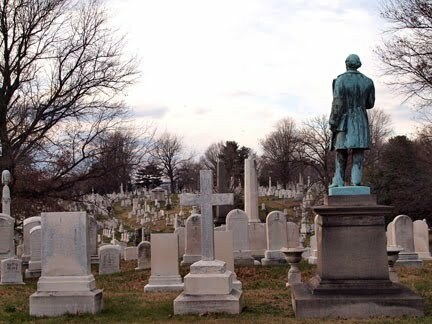 It has many local historical figures plus Lincoln's assassin, John Wilkes Booth and his co-conspirators, Samuel Arnold and Michael O'Laughlen. 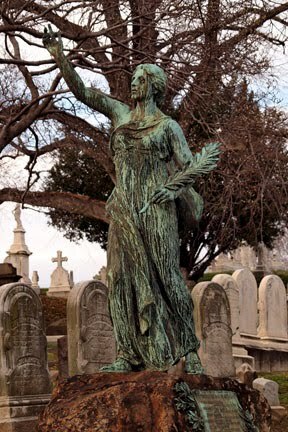 There is also, Napoleon's sister-in-law, Elizabeth Patterson Bonaparte and The John Hopkins of the University & Hospital fame. 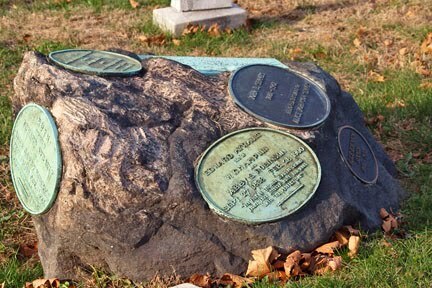 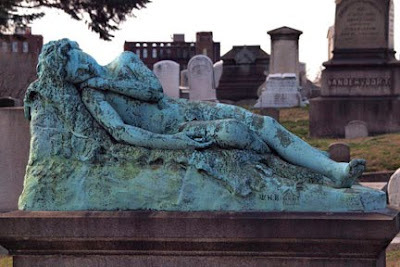 This sculptor marked his grave with his own art work. 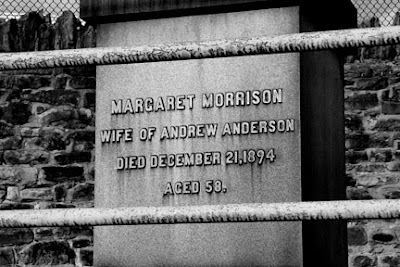 Reading the markers it maps out to be husband, Edward Ayroult (1838-1900) and wife, Alice Canby Robinson (1850-1939) and their three children: Edward Ayroult Robinson Jr (1876-1983), Ruth (1889-1916), Alice Robinson Semmes (1886-1970) and her husband, John E Semes (1881-1967). 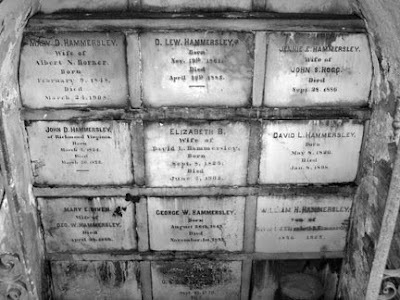 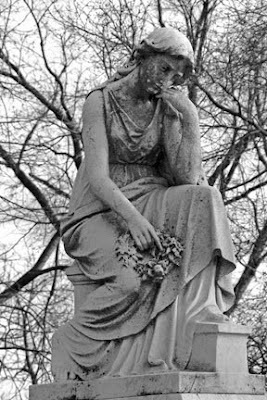 She looks very similar to the one I saw earlier in the day at Baltimore Cemetery (see other blog entry for December 4th). A twist on all those devoted wife of...she who dies last, gets to write the inscription. 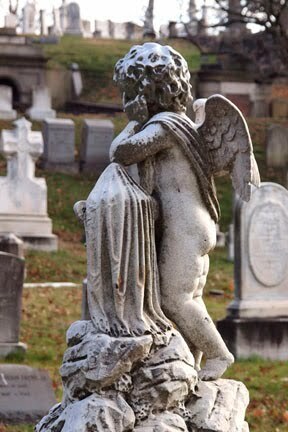 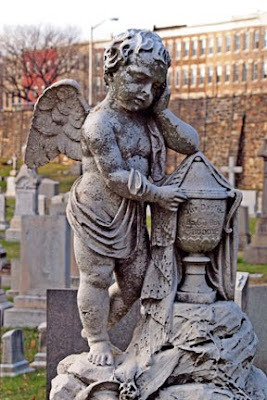 Cupid Angels always mean a child's grave. 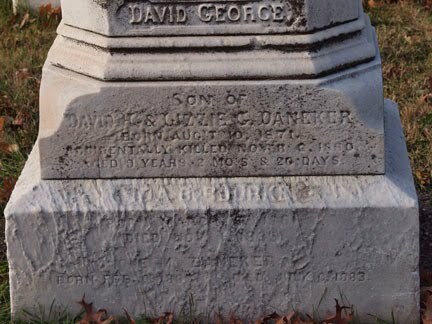 On the bottom are two more child inscriptions that seem to be 1880 & 1883. 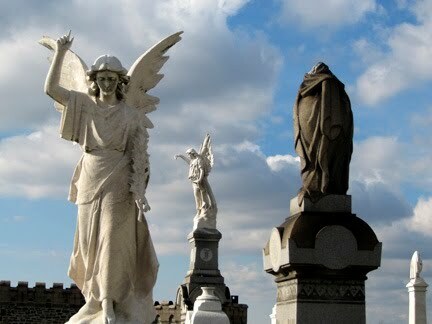 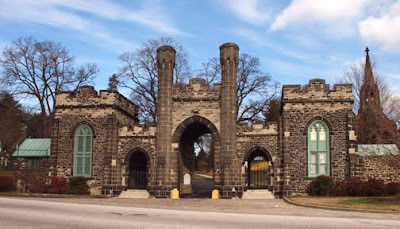 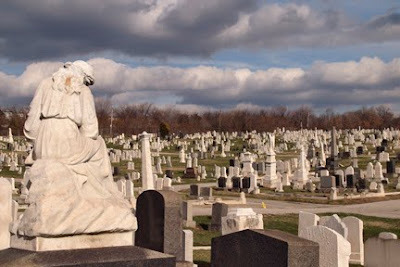 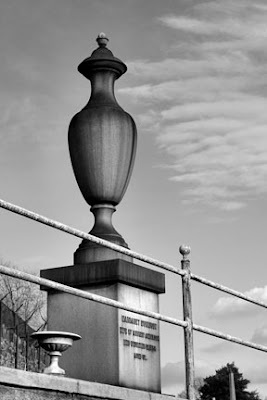 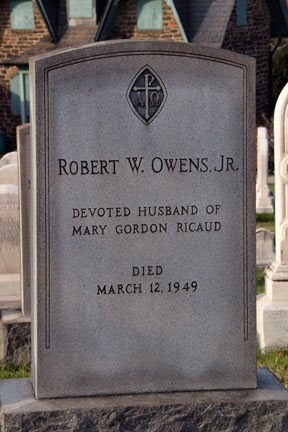 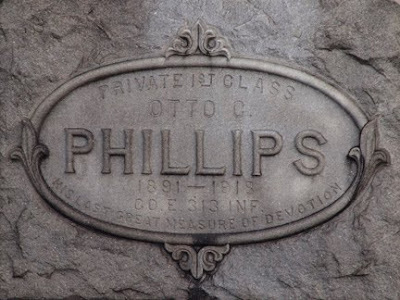 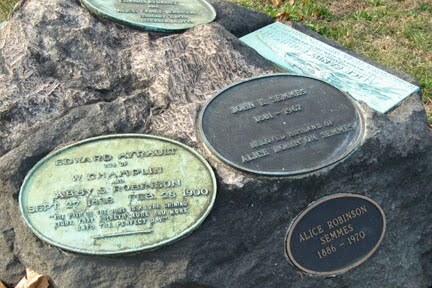 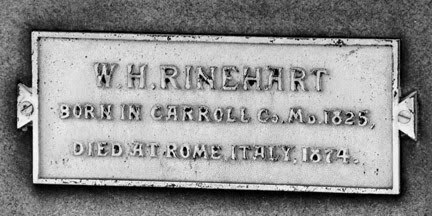 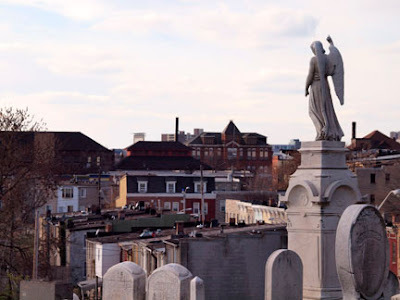 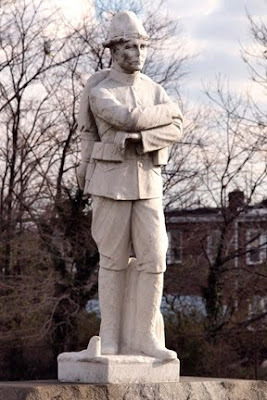 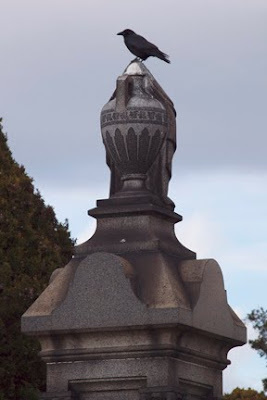 Located at 1901 N. Rose Street, Baltimore, MD; I could not find any online information about this cemetery. 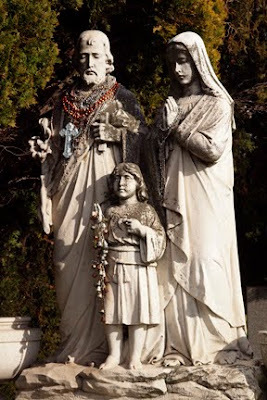 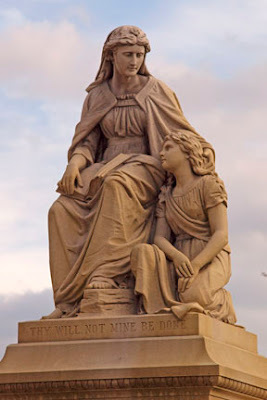 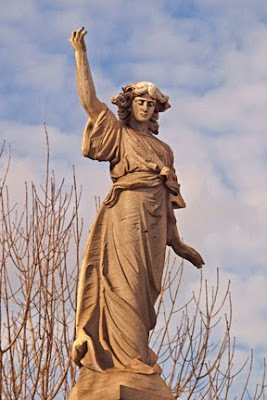 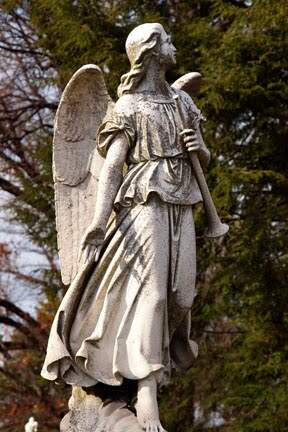 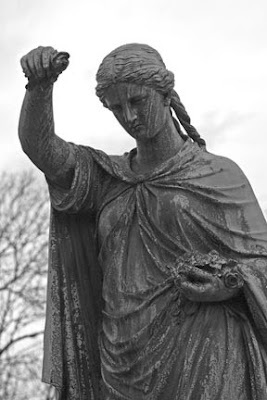 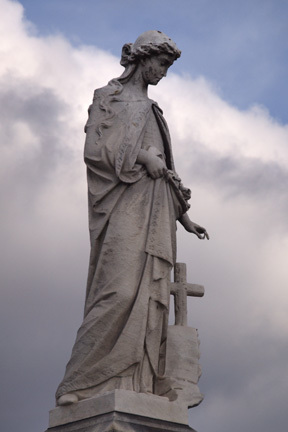 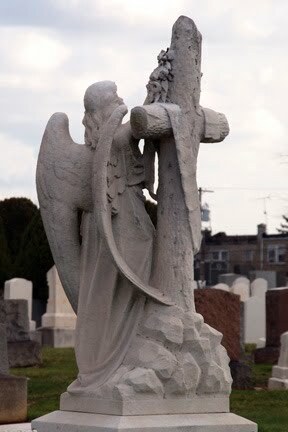 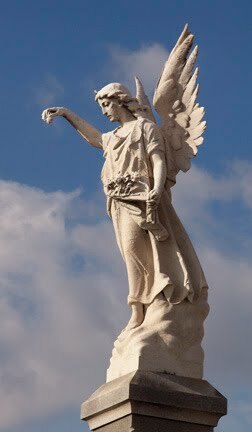 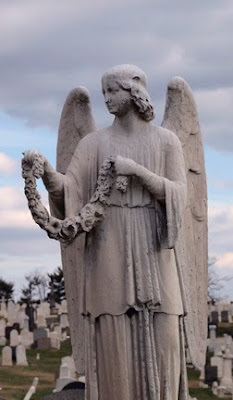 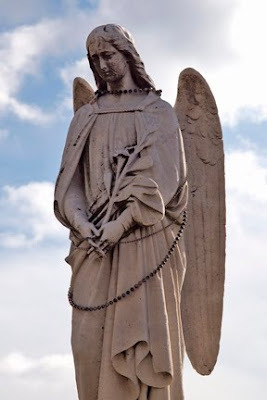 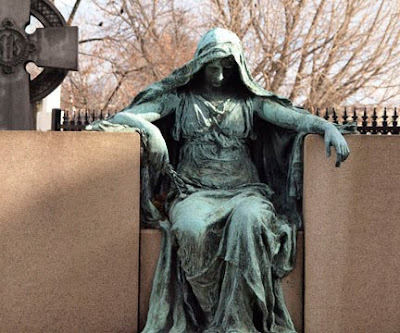 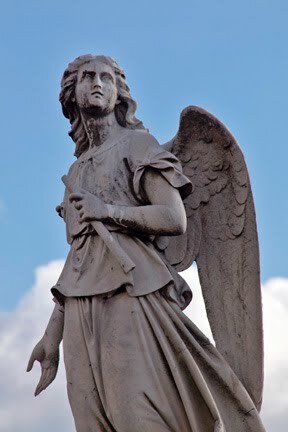 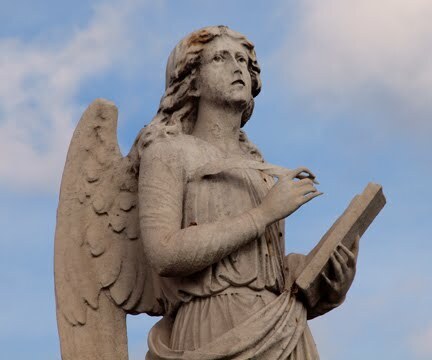 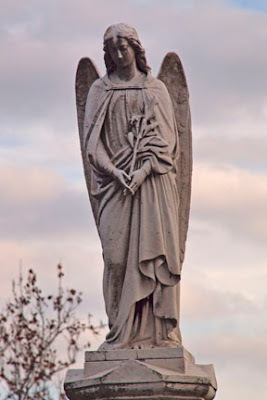 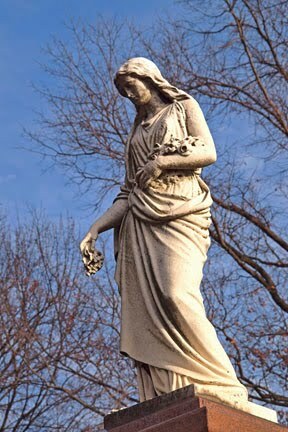 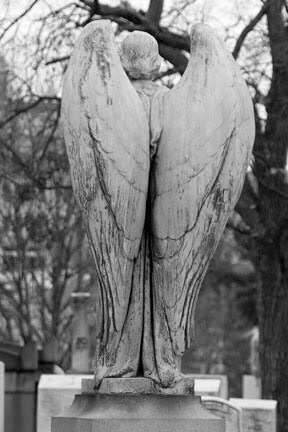 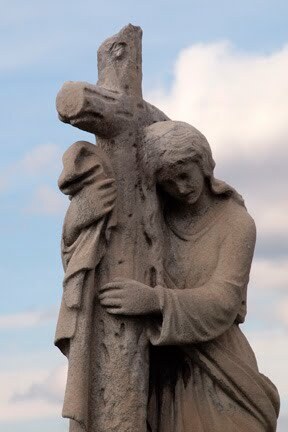 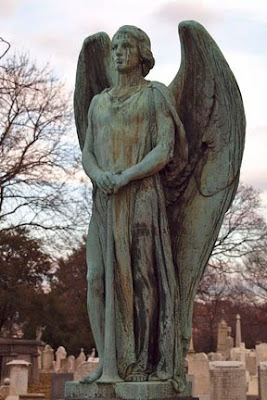 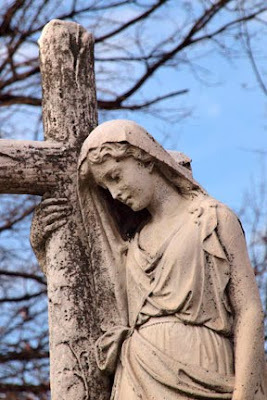 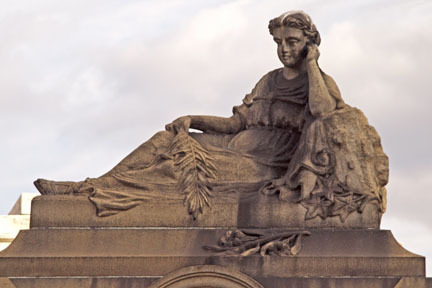 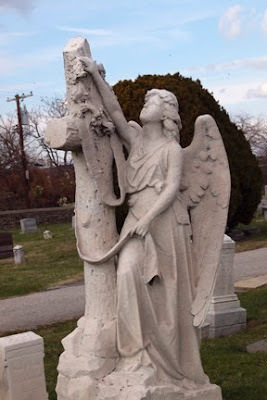 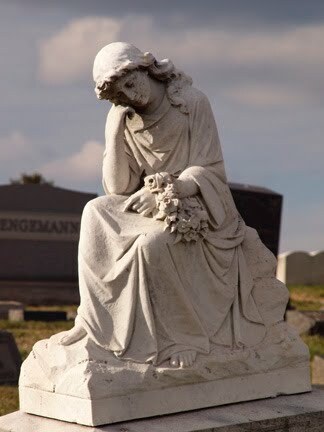 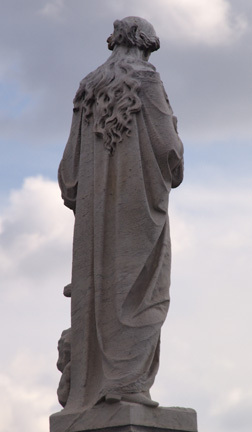 She looks very similar to the Angel of Sorrow from Sunnyside Cemetery in Long Beach, CA. 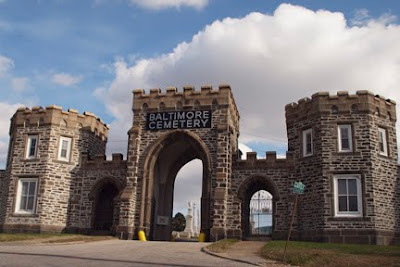 After learning about Edgar Allan Poe and his stint at Fort Monroe...I felt like he was visiting me at this cemetery. 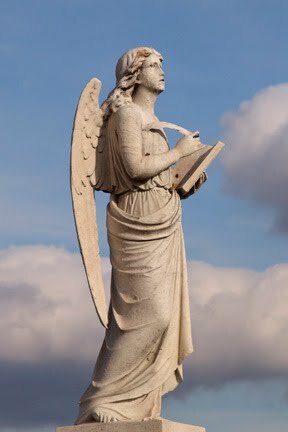 This ones for my friend, Kate, who loves words.